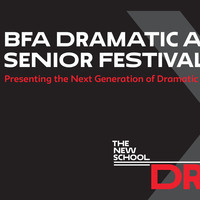 This festival highlights the culminating work of the BFA Dramatic Arts students, exploring their training in technique, the depth of their critical inquiry skills, and the contextualization of their work through the lens of citizen-artist. During senior year, students design, research, and present a work that embodies these core elements. Each independent project requires the best application of students’ analytical, research, and presentation skills and performative practice and fosters both positive interdependence and individual accountability. While this senior work takes a different form for each student, for all it must be a scholarly endeavor that creatively reflects the knowledge and experience gained both inside and outside of the classroom and the ability to communicate across disciplines.